Oil settled down more than 3 percent on Monday, retreating from last week’s two-month highs, on worries about burgeoning Chinese fuel exports, more Iraqi and Nigerian crude shipments and a rising U.S. oil rig count. China’s July diesel and gasoline exports soared 181.8 percent and 145.2 percent, respectively, from the same month last year, putting pressure on refined product margins. In the United States, BP Plc’s (BP.L) 413,500 barrel per day refinery in Whiting, Indiana, returned to normal production for the first time since late July, adding to refined products supply. On the crude oil front, U.S. drillers added 10 oil rigs in the week to Aug. 19, the eighth straight week of rig additions, as crude rebounded toward the $50-a-barrel mark that makes drilling viable. Elsewhere, Iraq plans this week to increase exports of Kirkuk crude by 150,000 bpd from its northern fields while Nigerian rebels who regularly attacked oil facilities in the country earlier this year said they were ready for a ceasefire. Brent crude LCOV6 settled down $1.72, or 3.4 percent, at $49.16 a barrel. It hit a two-month high of $51.22 on Friday. U.S. West Texas Intermediate (WTI) crude’s front-month contract, September CLU6, closed down $1.47, or 3 percent, at $47.05 before expiring. It hit a six-week high of $48.75 on Friday. WTI’s more active second month position, October CLV6, closed down $1.70, or 3.6 percent, at $47.41 a barrel. Oil rallied with few stops over the past two weeks, going from a bear to bull market as it reversed a loss of more than 20 percent in early August on speculation Saudi Arabia and the rest of the Organization of the Petroleum Exporting Countries will agree to a production freeze with Russia and other non-OPEC members. “We continue to view a meaningful OPEC production agreement as highly unlikely,” Wall Street investment bank Morgan Stanley said in a note. “It is unlikely Riyadh will take any freeze negotiation seriously as officials believe the market share policy is slowly but surely working,” Morgan Stanley said, referring to the Saudi policy of defending market share over price support. It added, however, that oil could be volatile between now and late September before OPEC and other producers meet in Algeria. British investment bank Barclays said $50 a barrel and above were unsustainable given the crude output and fuel oversupply situation. 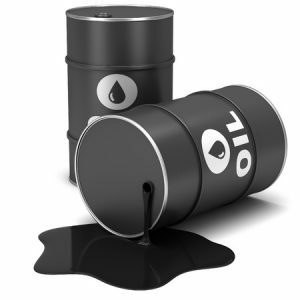 “Oil prices will likely experience another short-term dip in the coming weeks,” it said. Data from energy monitoring service Genscape, showing a drawdown of more than 187,000 barrels last week at the Cushing, Oklahoma delivery hub for WTI futures did little to boost prices, although it narrowed the September contract’s discount to October to a two-month low.